All that’s needed is a short 5-10 minute survey. In addition to gaining feedback, the goal is to open communication lines with parents and children. Use it to learn how your organization is doing regarding the safety of the children’s program and adhering to the established Child Protection Policy (CPP). 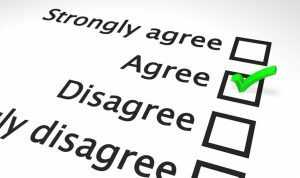 Make the survey unique by including a section just for kids to share their feedback, observations, and experiences. To start, you want parents to answer the overall question, “How safe do you feel your child is within our program?” There are several format options, but a sliding scale such as 1-5, with 1 being the lowest, and 5 being the highest provides insight about parent’s perception and overall feeling on child safety. It’s good to ask for input on specific elements. At the end of this section, add an area for open-ended response asking parents to share why they gave the ratings they did. Written feedback and comments are imperative to putting context to the rating and an opportunity for them to share their thoughts, whether it’s positive or negative. Next, you want parents to provide feedback on how your organization is adhering to the established Child Protection Policy regarding specific areas. Note: (If you don’t have a Child Protection Policy check out KidCheck’s three-part series on the purpose, design, and execution of a CPP). Once again, at the end of this section make sure to provide space for comments on why they chose the rating. Here are a few to consider. Beyond the ratings, ask some open-ended questions about safety and protection. Here are a few to consider. 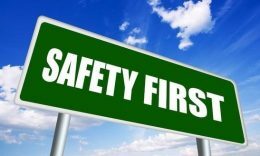 What do you consider our greatest strength as it pertains to child safety? What do you consider our greatest challenge as it pertains to child safety? How can out staff, leaders, and volunteers improve the protection of children? Have you attended any of the child safety training provided? If yes, was it helpful? Good quality? Would you like someone to reach out to you to discuss anything in more detail or answer any questions? Also, always include an option for contact information. One of the best ways to learn about a child’s experience is to ask them, and one of the best ways to protect them is to foster an environment of open communication, transparency, and trust. So reach out to the kids in your care by directly asking them for feedback. Let them know you appreciate their input and anything they share will help keep them and others safe. The child part of the survey is designed to be parent directed. It contains questions parents can read to younger children and capture their feedback, or work with kids who independently read and write on their own. Older children may request privacy in filling it out and prefer to submit it on their own. Whatever the case, it’s a helpful tool to continue the discussion about personal space and body safety with children. By including children, you demonstrate that your organization seeks to be welcoming and safe for all. Include a short letter to the child explaining they are an important part of the community and you want them to feel welcome and most importantly safe. Clarify that if someone is making them feel bad, uncomfortable, scared, or unsafe, you want to know about it, and it’s important they share so you can fix the issue. Let them know they have the option of including their name or not. These suggested questions are for children under the age of 12 and refer to anytime they attend a program, event or another gathering. Additional questions for youth groups can be derived from these questions and focus more on youth leadership, mentoring programs and offsite activities. When you attend our program, event or gathering do you feel safe? If no, please explain why? Do you feel your teachers, aides and volunteers do a good job in working to protect you? Yes or no? Why or why not? Do you ever feel left out of activities in your classroom? Yes or no? If yes, please share more detail. In our program are you ever teased or bullied? If yes, please share more detail. Have you ever felt unsafe or afraid of being hurt? If yes, please share more detail. Are there any places in the building that you feel unsafe? 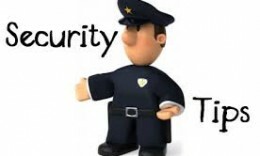 Is there anything we do or provide to make you feel safer? Lastly, leave a space for parents to provide any comments and feedback. Make it optional to share their name and ensure them that their answers are anonymous. Organizations focused on caring for children work to create a warm and welcoming environment and part of that is fostering transparency and encouraging open dialogue and frequent communication. By implementing an annual child safety survey, you are giving families a chance to be heard. Their input goes a long way in building trust, promoting positive word of mouth, and giving families peace of mind about where their children are spending time. Click here to learn about the benefits of secure children’s check-in. For more safety tips, best practices, and original content join our growing social community. You can find us on Twitter, Facebook, Google+, Pinterest and Instagram. KidCheck’s Top 10 Security Tips from 2014!